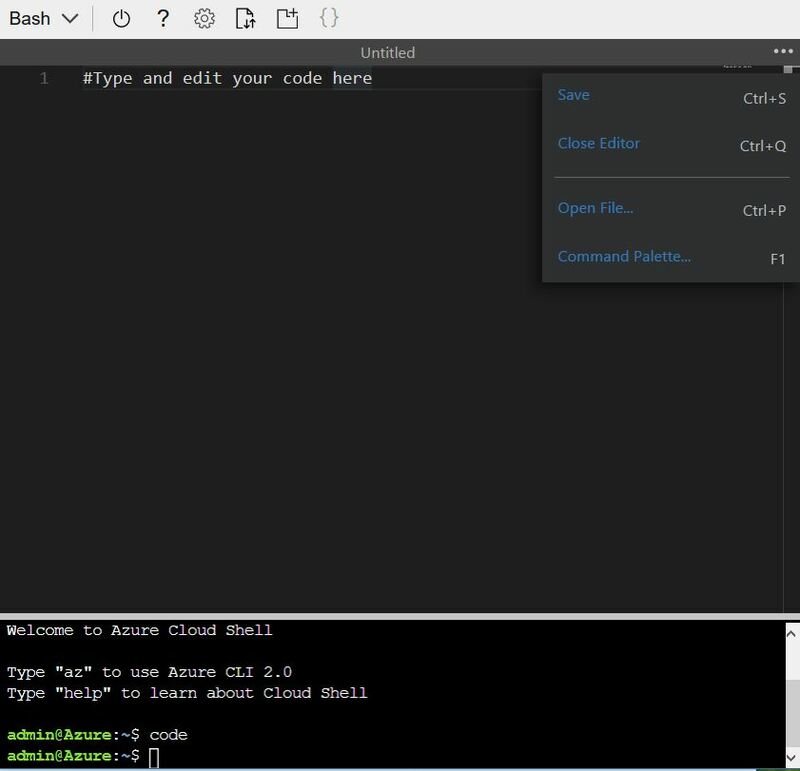 Yesterday Microsoft extended the capabilities in Azure Cloud Shell. The so long very basic version has now built in editing support! Type in „code“ and the editor opens. Independent of using Bash or PowerShell, „code“ works in both environments. In addition the VS-Code extension „Azure Account“ has been extended to support Azure CloudShell. Another opportunity to go „cloud-native“ with your commandline!